Next Tuesday the great Bay Area clarinetist Ben Goldberg will release two superb albums on his own BAG Productions imprint. Subatomic Particle Homesick Blues was actually cut back in 2008, soon after he met the popular saxophonist Joshua Redman on a double bill in San Francisco: the encounter eventually led to this session with trumpeter Ron Miles, drummer Ches Smith, and bassist (and former Chicagoan) Devin Hoff. The music bristles with contrapuntal arrangements that frequently find all three horn players improvising simultaneously, recalling the heyday of west coast jazz. The other album is of more recent vintage. 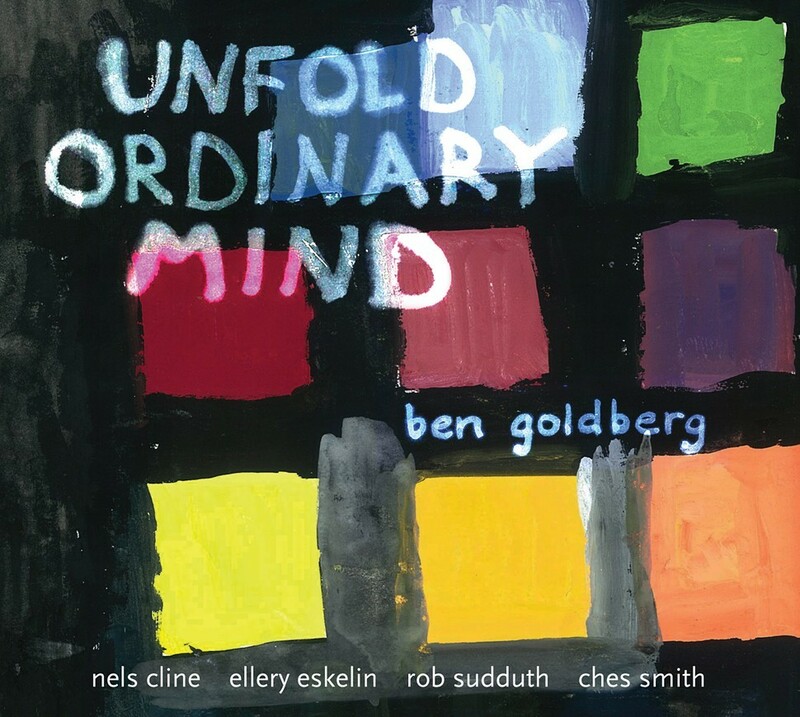 Unfold Ordinary Mind was made last fall with Smith, tenor saxophonists Ellery Eskelin and Rob Sudduth, and the great electric guitarist (and Wilco member) Nels Cline. Rather than focusing on his usual Bb clarinet, Goldberg sticks mostly to the low-end contra alto clarinet and basically serves the role of bassist, although he chips in with his fair share of improvisations. Both albums mark a concerted effort by the reedist to bring out his more melodic side, and on that count he succeeds magnificently, delivering some of the most gorgeous and pleasing compositions in his career. For today's 12 O'Clock Track you can check out Unfold Ordinary Mind's deeply soulful "xcpf," which winds up with a typically burning solo by Cline.